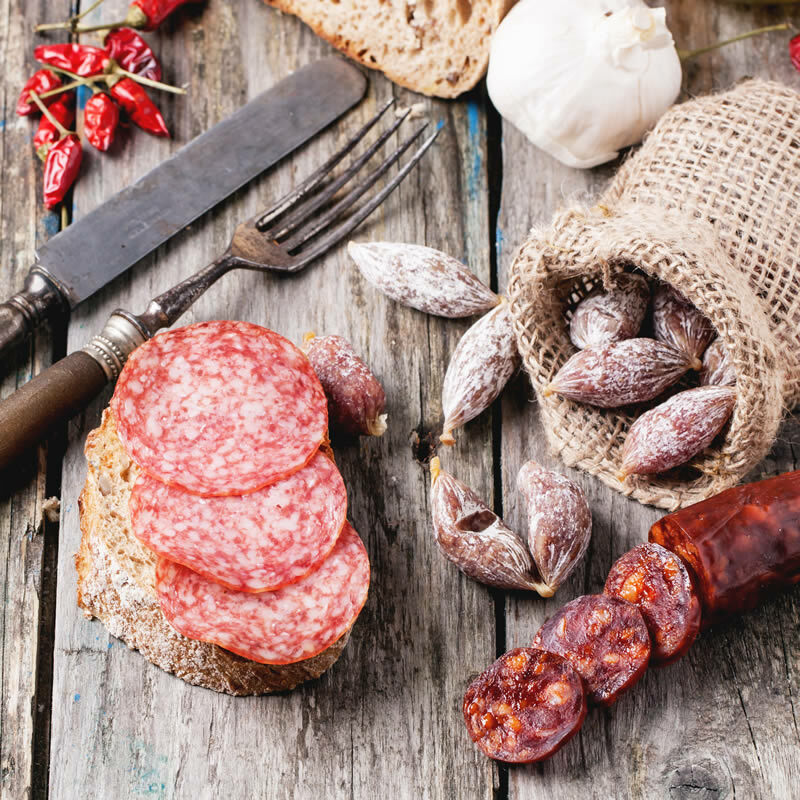 Our own on farm butchery produces traditional sausages, cured meats and a range of charcuterie in addition to our regular Yorkshire Dales traditional breed beef, pork and lamb cuts. We work in partnership with local farmers and our own home bred stock from our Malhamdale Farm to bring you top quality home produced beef, pork and lamb. We hold Pork Butchery, Charcuterie & Salumi days here in Malhamdale in the Yorkshire Dales. Courses are held at our traditional Farm Shop and purpose built, on Farm Butchery. A full Day Course of Pork Butchery and Traditional French Charcuterie. 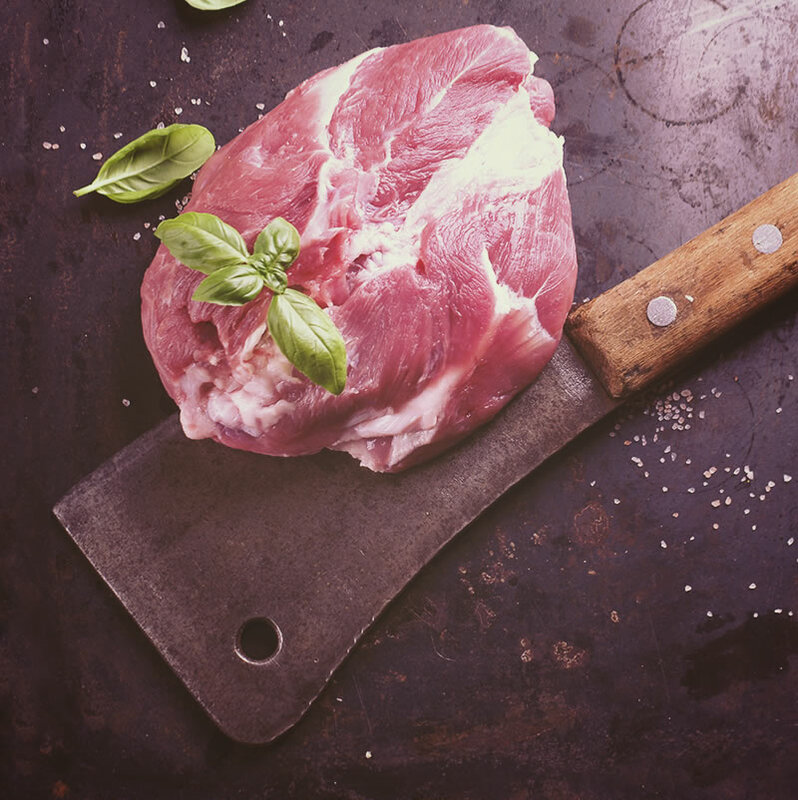 Learn about the fundamentals of pork butchery whilst covering how to cure and make saucisson, maybe even try your hand at Crepinettes and Rillette de Porc. A full Day Course of Italian Pork Butchery and Traditional Salumi. Our Butchery, Sausage Making and Charcuterie courses offer something a little bit different, visit our traditional Dales Farm, try your hand at butchery, sausages, curing and lots more, great informative fun with superb Dales hospitality. Example Pork Butchery itinerary as follows:- Meet 9.30am bacon butties & coffee at the Farm Shop followed by a tour of the farmyard & meet the pigs. Knife skills, safety & equipment. Provenance, Breeds & Carcass ID. Pork primal cuts. Pork butchery cuts & joints. Lunch at Town End Farm Shop. Basic curing & Charcuterie. Sausage making. Finish with course notes & a pork goodie bag at approx. 5pm Dates available throughout the year, we usually hold our Butchery & Charcuterie courses on the last Friday of the month and the full day courses start from £160.